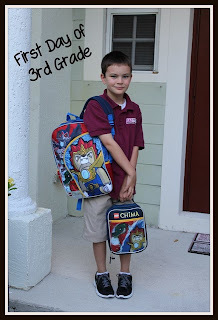 Bustin' Diabetes for Justin: Back to school he goes! Whew! What a fun summer! We had so much fun these last couple of months, Water parks, vacation in the Smoky Mountains, camping, hanging out with friends. Did diabetes stop us from having fun? No way!! Did it try? Of course!! That's what diabetes does best, throw curve-balls But we take it one day at a time, that's all we can do. I was so happy that Justin had a great summer vacation, and that day camp went great. It still amazes me that the staff at school and camp is so grateful that I am prepared for everything. I only do what I feel is necessary, the ultimate goal is to keep Justin safe at all times, and if that means having a stash of snacks/juice everywhere well than that's what I'll do. 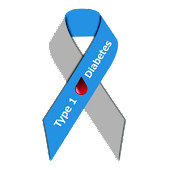 The DOC (Diabetic online community) has been such a huge help to me in preparing for practically every situation, waterparks, school, camp, you name it. Someone has been through it and is ready to tell you what helped them. I can't imagine someone dropping their child off to school or camp without any of that stuff readily available. I needed to know that if he needed a snack before swimming it was there and preportioned 15 carbs, not expecting staff to come up with something. Or if he's low, expecting them to have stuff on hand. I don't leave my house without any of that, so why would I just drop him off with nothing. (Not that I haven't forgotten stuff and had to turn around and go get it LOL) But you get my point. On that note, I absolutely love the staff at his school and camp. They will call me as many times as needed during the day, which makes me feel better, then I'm not at working wondering whats going on with him. So Justin is super excited about 3rd grade, he was thrilled that he got Mr. Earle! He's known Justin for a couple years now, when Justin was in 1st grade his classroom was next door, and they became friends. So now Justin keeps telling me that Mr Earle is his "teach-friend" LOL....I keep reminding him that he's the teacher now, then a friend and he needs to listen to him and do his work. This is his first year having a diabetic student, we prepared him with a classroom kit, and some reading material as well as talking with him about it. He didn't seem nervous about it, and was super receptive about everything, so I'm not worried about it. First time for everything, right. First day of school Justin has a low before lunch, not a bad low, enough that he didn't feel good and went to the clinic to check. Teacher was either like "crap, already?!" or "Thank God Justin knows when its not right" LOL.....Nothing like that happening 2 hours into school the first day. I gave him a little extra at breakfast today and that seemed to work, no lows and lunch number was great! Will that work tomorrow? Maybe.....Maybe not. You just never know. Back to school is such an exciting time, new clothes, new supplies, etc. 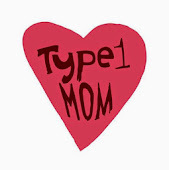 But for parents of a child with Type 1 diabetes, it is a scary time. That means new teacher, new kids in class, possibly a new school and new people to educate. Its stressful! This was Justin's first year starting the school year with diabetes, but he was diagnosed about 3 months into school last year. So I wasn't worried about new staff or anything, but its still a stressful time. Trying to remember if you thought of everything, and worrying about him all day. Aside from the medical part of this, the severe lows & complications, one of my biggest fears is Justin being excluded from stuff or picked on because of the diabetes. Honestly kids can be so mean, and I just worry about that. However Justin is awesome about all of it, he doesn't try to be secretive or hide anything, and he'll tell whoever about it. It's funny cause whenever its bothering me or on my mind, he will do something that makes me think, it'll all be ok. The other night we went out to dinner with friends and when dinner came and Justin needed his shot, he says to his friend "Hey, you wanna watch me get a shot?" Of course the friend is like "Yeah!" LOL....Boys will be boys, I just laughed. On another note, I was thrilled when I received a call from our local JDRF Chapter a few weeks ago. I was thinking about calling her and asking if anything like this was available, but I figured it was too soon after Justin being diagnosed, so I decided to wait. Then within a week, I got the call! We are looking into getting Justin a pump, he has expressed interest in it. The payment plan is affordable, but not sure how were gonna do the year after when our deductible starts over again. The cartridges and infusion sets are expensive! And are a separate deductible from our prescription deductible that the strips fall under...so we'll see. I know everything will work out when its supposed to, we just gotta figure some things out!